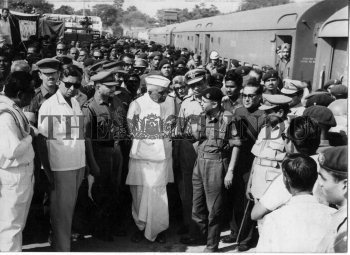 Caption : The Andhra Pradesh Governor, Mr. Kandubhai Desai was at the Hyderabad railway station in January 1972 to receive the jawans wounded in the 1971 Indo-Pakistan war. On his right is Brig. M.K.Balachandran.